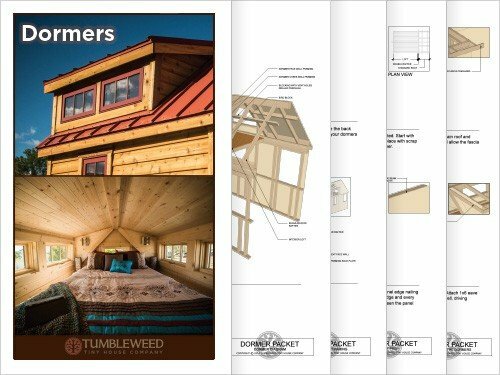 Our extensive building knowledge and experience make Tumbleweed Tiny House Plans the best in the industry. Focusing on showing you how to build your own tiny house whether you are a beginning builder or expert contractor. Use code 100offplans during checkout. The alluring Cypress is the epitome of beauty and function. The sweeping bay windows, proportional corner porch, hipped roof and clever use of space lead to its popularity. The iconic Elm is modeled off of the very first Tumbleweed. Featuring a functional full porch, an emblematic lancet window and use of symmetry showcases its entry. 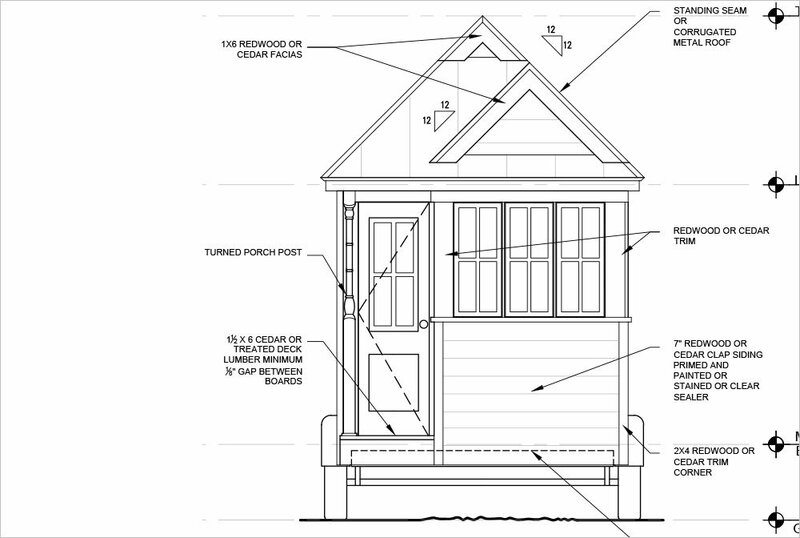 Universal tiny house dormer plans work great with the Cypress and Elm models. 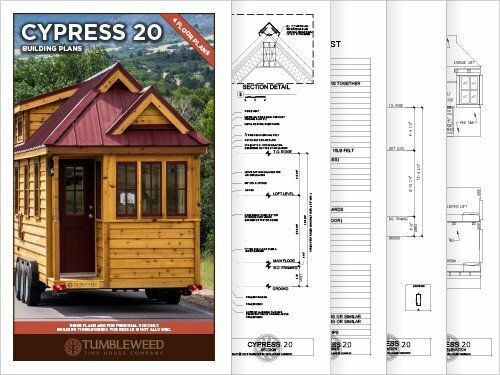 Purchase individually or included for FREE with every Tumbleweed Building Plan purchase. 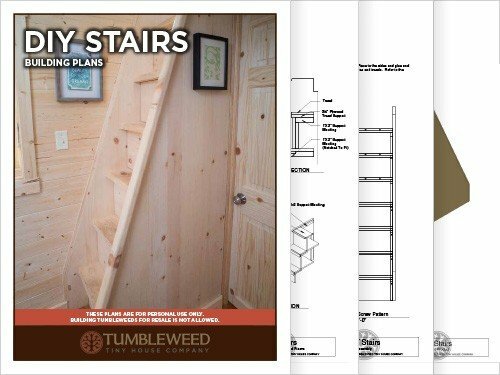 You can now build your own tiny house stairs for your Tumbleweed! 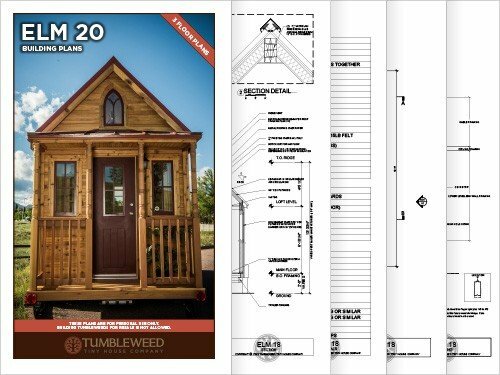 Purchase individually or included for FREE with every Tumbleweed Building Plan purchase. Detailed floor plans for both the downstairs and loft include pertinent dimensions: for walls, windows, rooms and door openings. You’ll also find the location of all appliances on these plans as well. Showing the birds-eye view of the house, you see the slopes and pitches clearly called out, as well as the amount of overhang, and individual rafter locations from above for both the roof and porch. Perhaps one of the most important pages on any set of plans, the transverse section cuts the house in half and shows details such as wall thickness, roofing material details, flooring details, roof pitch, ceiling heights, and insulation. These plans show the framing for all 4 walls, both gables, and layout the exact location of each stud. 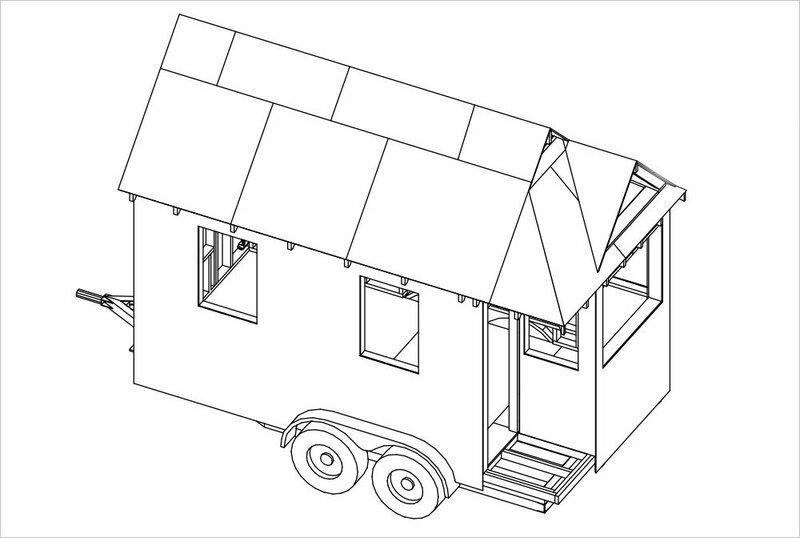 Built on a trailer, the plans describe which trailer to buy, and how to attach to the house. Also included is the floor framing, showing the exact location of each joist and calling out pressure treated joists as needed. These pages include both the main floor and loft and show locations for outlets, light switches and lights. These plans include 4 elevation drawings showing the front, back and both sides. Siding and fascia boards are called out. Includes windows, doors, water heater, bath tub/shower, kitchen sink, dishwasher, range, washer/dryer, insulation, lumber and more with quantities. The engineering section calls out nailing schedules and types of materials to use to ensure that your house is built solidly. 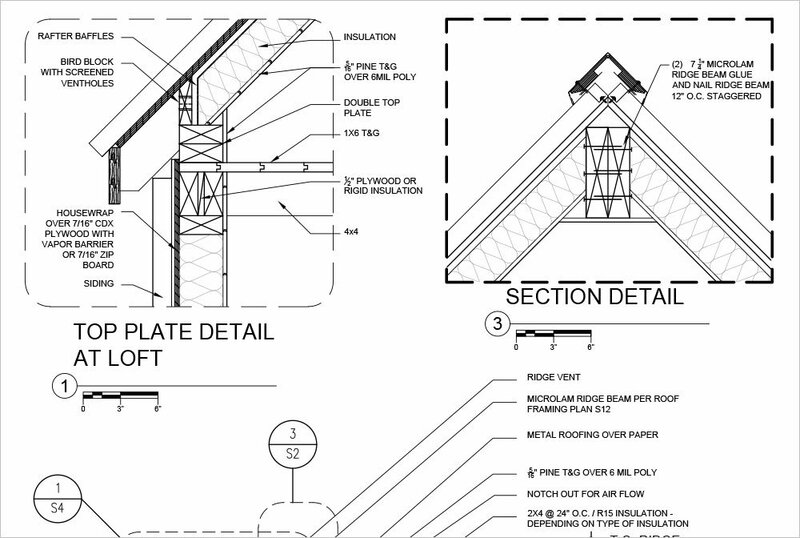 Shear panels and other specialty construction details related to a tiny house structure are detailed in this section. 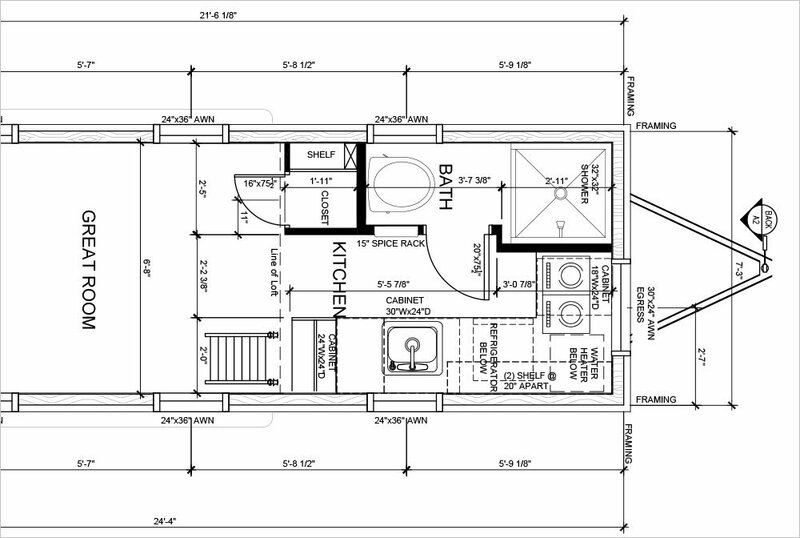 Unlike many other plans on the market, we include elevation drawings for all the interior walls, showing what the cabinetry, shelving, interior walls, and window locations look like from the inside. 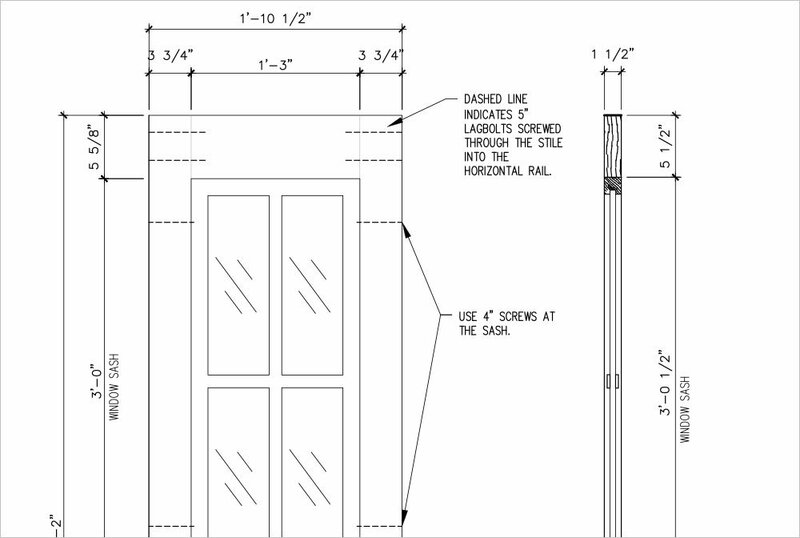 Detailed drawings on the custom shelving, often with 3D assembly views, explain exactly how to build your house. The front door to this home is custom made from standard materials. 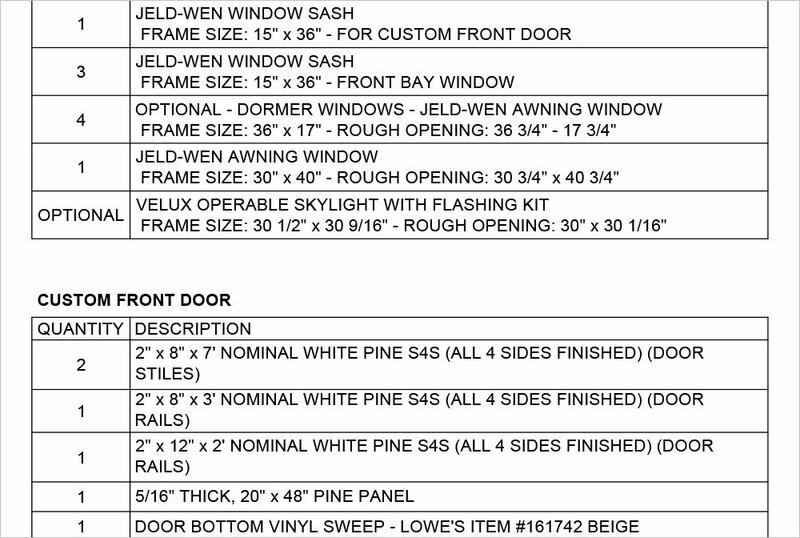 We include plans to build the door.